Engineer Ben Castleberry and Gabriel Thelus assess the current latrines in Jacsonville, which do not meet WHO standards. A project is being planned to build more latrines. 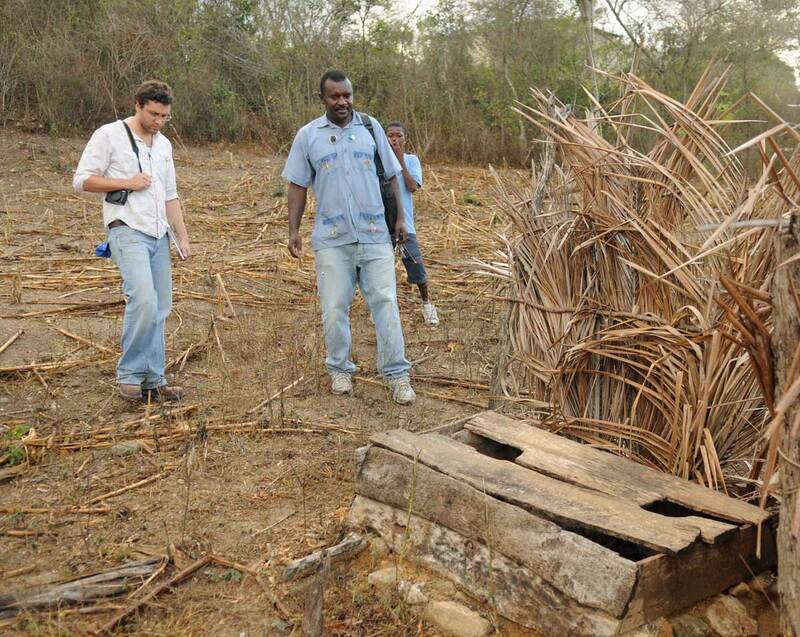 Last March, Sante Total conducted a site assessment of the sanitation infrastructure within Jacsonville. Currently, 58 households lack access to latrines or other means to enclose defecation and contain harmful bacteria, such as E. coli. Another 44 household are using latrines that are inadequate by the World Health Organization (WHO) and also are unsafe to use. Sante Total will begin latrine construction at individual households during the upcoming December trip. The preliminary cost per latrine is estimated at $175. A goal of the December medical trip is to teach local community members the proper methods and practices to build latrines to WHO standards.